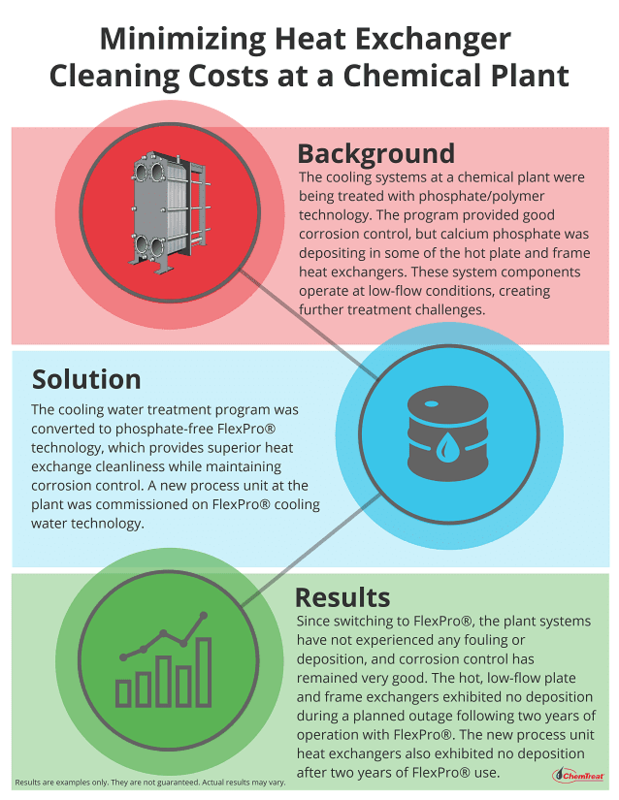 Minimizing Heat Exchanger Cleaning Costs at a Chemical Plant | ChemTreat, Inc.
Would you like to learn more about FlexPro®? Click here to check out our unique water treatment solutions. ChemTreat’s water treatment solutions help a chemical plant solve their deposition problem, meet phosphate requirements, and more.